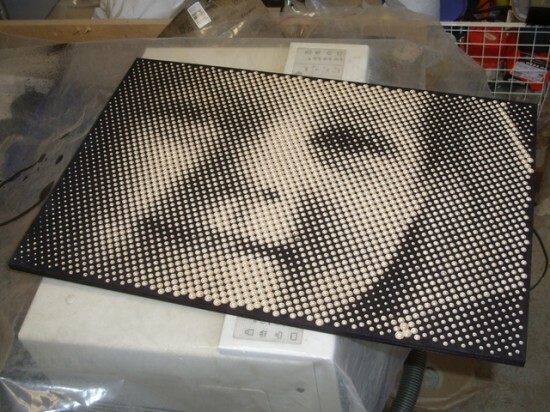 A 21-year-old Finish modder, who goes by the name Metalfusion, has developed an ingenious method of creating CNC routed halftone images on pieces of plywood. 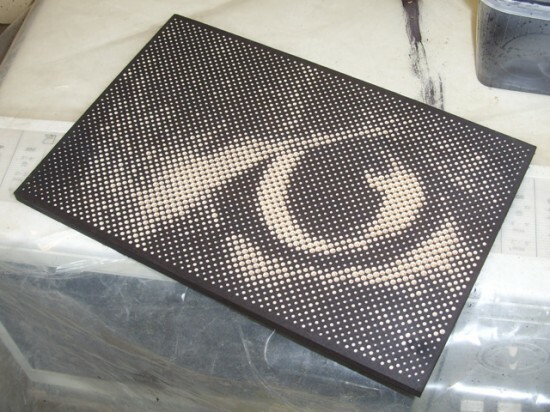 Similar to printing newspaper images using dots of ink, the process thought up by Metalfusion consists of using a v-bit router bit to drill different size holes by plunging it at different depths. 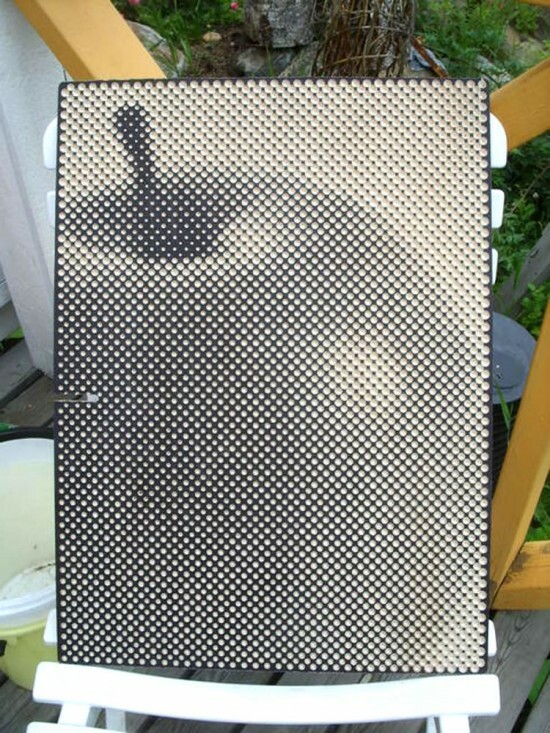 He has also created a special software that allows him to convert normal images into files that are ready to be cut on a CNC machine. 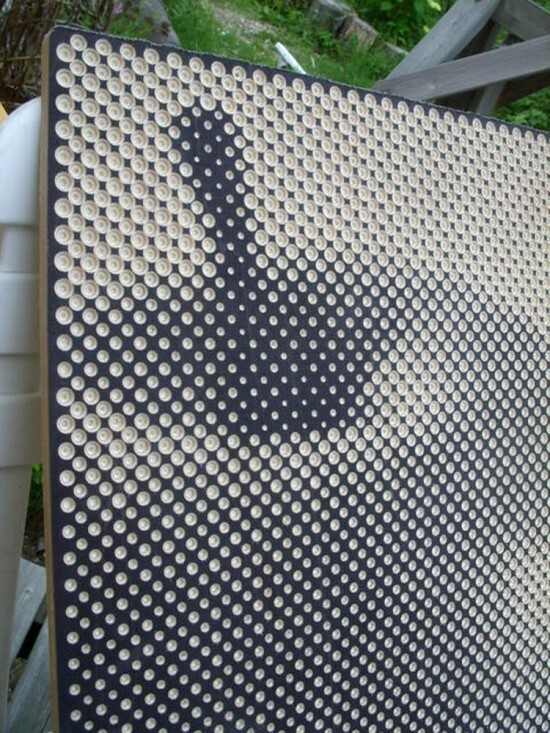 Although the end result id definitely impressive, the drilling process takes over an hour, since each image requires thousands of individual dots.